We are the business arm of the Ute Indian Tribe on the Uintah and Ouray Reservation in northeastern Utah. 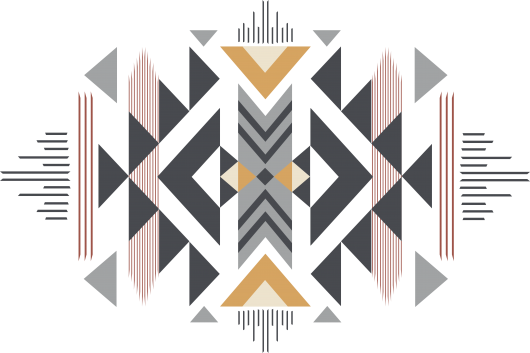 All tribal-owned businesses in existence are incorporated subsidiaries of Ute Tribal Enterprises (U.T.E.). Stockholders of the corporation are all Ute Indian Tribal members, and our Board of Directors are the Ute Indian Tribe Business Committee. At U.T.E., we are committed to the ongoing success of our tribally-owned businesses through our key values of Honesty, Teamwork, Accountability, and Trust. Our primary goals is to provide quality products and services to our people, surrounding communities, and visitors. We are proud of successes and grateful for the dedicated employees serving our enterprises! Come visit us! Plan your visit to Fort Duchesne, Utah with us! Providing a one-stop shopping experience for our customers! 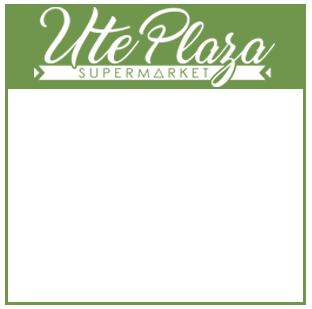 Offering 100% grass-fed UTE Bison and local produce, we are the neighborhood grocery market for the Uintah Basin (between Roosevelt and Vernal). Home of the Bison Cafe! Largest and finest bead inventory in the Uintah Basin. 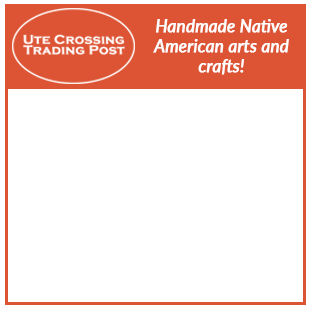 Offering both traditional and non-traditional Native American items that help education our customers about the unique customers and rich heritage of the Ute Indian Tribe. 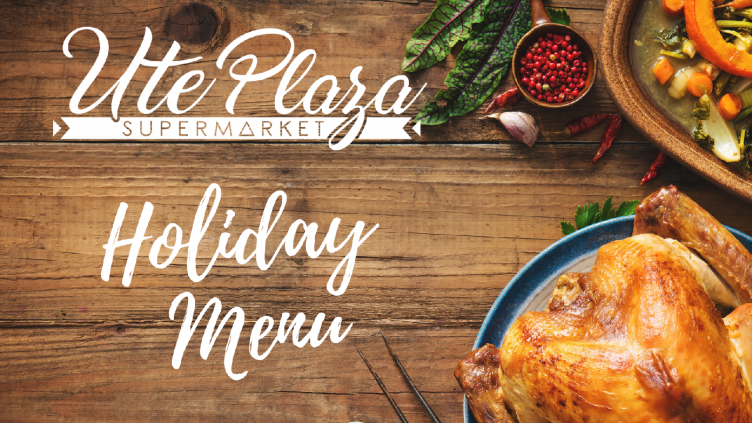 Located inside Ute Plaza Supermarket. Visit us at the Ute Crossing Intersection in Fort Duchesne, Utah! Providing many features the whole family will enjoy, including an arcade room to keep the kids entertained for hours and specialty pizza to satisfy. Enjoy COSMIC BOWLING every Friday and Saturday night from 7-10 p.m. Let us make your visit memorable! 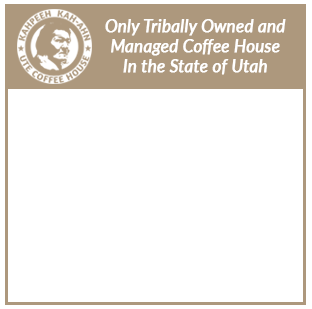 We are the only Native American owned and operated coffee house in the State of Utah. Providing our customers with the fresh Millcreek Coffee Roasters coffee from Salt Lake City, Utah. Offering a variety of homemade baked goods and specialty drinks. 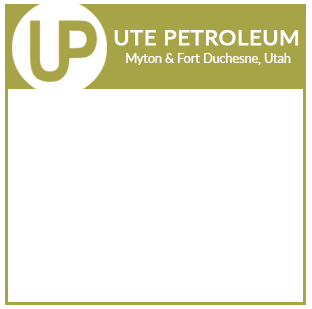 With two locations in Myton, Utah ("The Gateway to the Uintah and Ouray Reservation") and Fort Duchesne, Utah, Ute Petroleum keeps you fueled with DINOCARE TOP TIER Sinclair gasoline. Our Grill offers daily specials and tasty eats to get you back on the road. UOWS provides dependable water hauling services and experienced drivers to the oil and gas industries throughout the Uintah Basin. "We Strive to Give Our Customers the Most Reliable, Stable, and Dependable Oilfield Services." We wish to invite you to take part in our upcoming Back to School Luau. 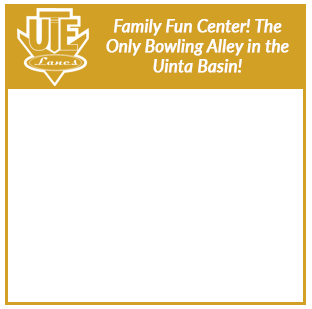 The goals of the event are to inform students about educational opportunities and careers that are available to them throughout the Uintah Basin. We will be using radio and social media to heavily advertise this event. You are invited to have a booth or exhibit space at no charge, where you might provide educational pamphlets and flyers telling about your department, school, business, or organization. Giveaway and items to be raffled are always popular with students. If you would like to contribute but do not want booth space, monetary and/or student/teacher school supplies donations are appreciated. Thank you for considering participating in this year’s Back to School Luau. It is our hope to make the end of summer and re-entry into school a more enjoyable time. Interested? Send us your information and we will reach out to you. Best Bison Burgers in the Basin! 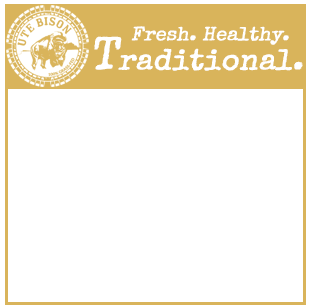 Providing 100% grass-fed, hormone free, all natural bison meat products, beetled cleaned skulls, and high-end hides. 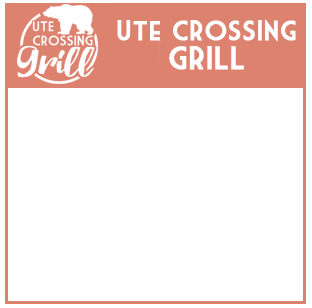 Our UTE Bison is offered at the following locations: Ute Crossing Grill, Ute Plaza Supermarket, and Ute Way Grill inside Myton Ute Petroleum. "I am proud to serve the company that I love. 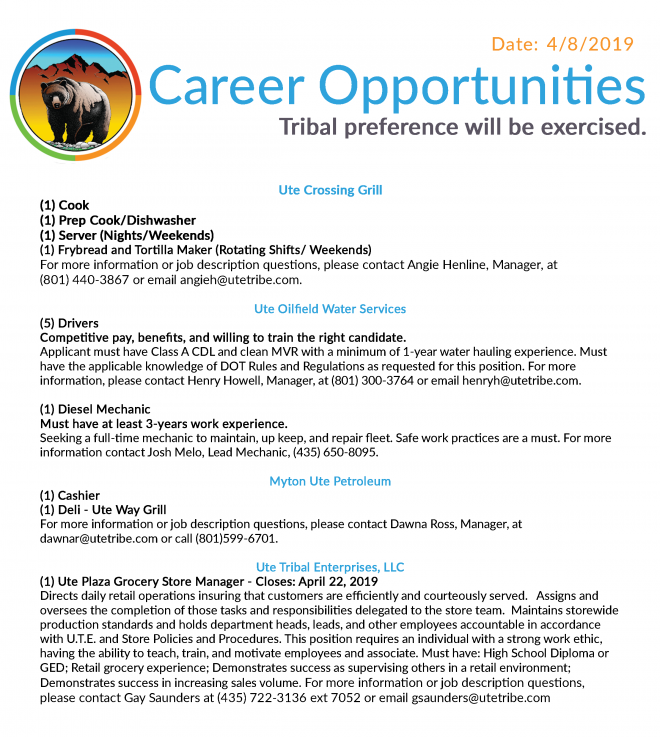 I have always believed in tribally-owned businesses, and we are prepared to continue to work hard to maintain the pride of the Ute Indian Tribe." Ute Tribal Enterprises credits its success to the dedicated and hardworking team members who are committed to excellence and accountability. To maximize profit and instill pride and respect on behalf of the Ute Tribal membership. well-managed and profitable business enterprises that make efficient use of its natural and human resources. "The management team has made sound decisions and implemented measures essential in laying the foundation towards a stronger future in bringing additional jobs and services to our community."